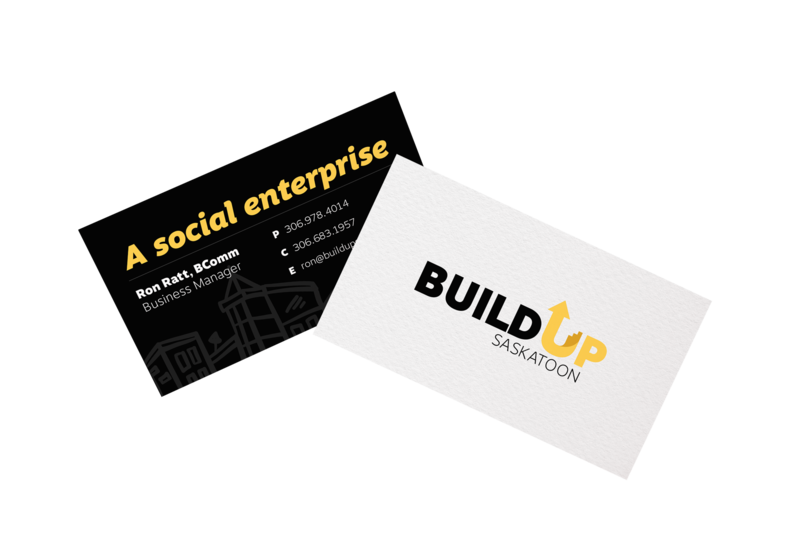 BUILD UP Saskatoon–a newly-formed social enterprise–needed assistance in setting up their brand and communications tools, and we’ve been thrilled to join them on this journey. 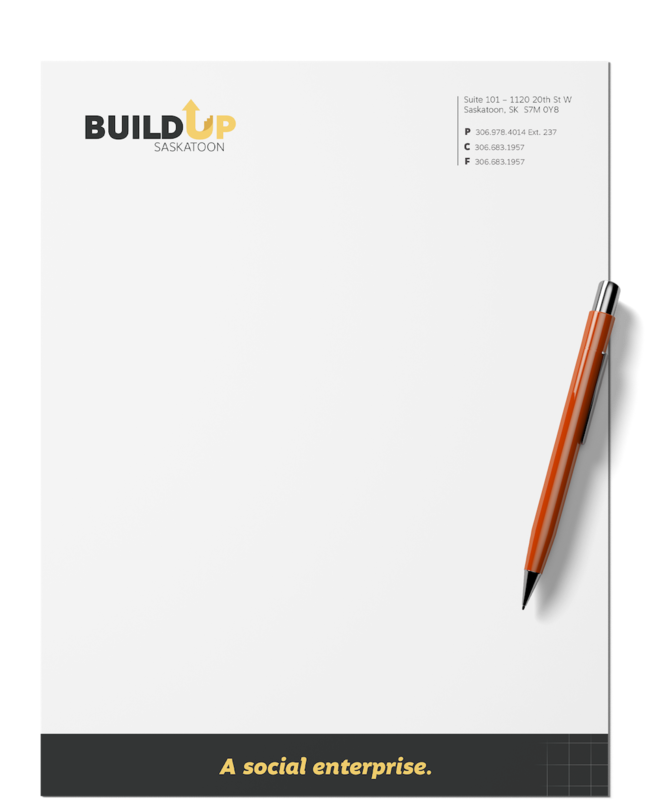 Forged from a partnership between Quint Development Corporation and STR8 UP Saskatoon, BUILD UP is designed to train, employ and mentor individuals in Saskatoon who are facing multiple barriers to gainful employment through traditional labour market channels. A sleek business card with illustrative details and a custom icon have been developed as part of this project.